Ethel Lee Sanders, 78 of Indianapolis, formerly of Benton Harbor transitioned from this life August 23, 2018, at home. Ethel was born December 18, 1939, in Memphis to the late Peter and Modess Pearson. She accepted Jesus as her savior at an early age and married Hosea Sanders on February 14, 1959, in Memphis. To this union was born four daughters. Ethel moved to Benton Harbor in the late 1960s and she enjoyed cooking, spending time with her family especially her grandchildren and she was known for her sense of humor. Ethel leaves to cherish her memory, her daughters, Glenda Faye (Maurice) Bell, and Brenda Ann Sanders; sister-in-law, Myrles Pearson; special grandson, Larry Patton; 18 grandchildren; 40 great-grandchildren; a host of nieces, nephews, godchildren, family, and friends. 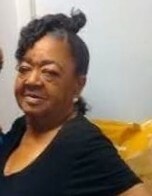 Ethel was preceded in death by her parents; husband, Hosea Sanders; daughters, Gloria Dean Hatten and Rita Kaye Williams; sisters, Easter Liphford and Thelma Thomas; brothers, James Pearson, Relious Pearson and Willie D. Young; grandchildren, Lachandra Sanders, and Lakeytha Sanders; special friend, Teola Ford. Legacy farewell services will be held at Progressive Missionary Baptist Church, 245 Pipestone Rd, Benton Harbor, MI 49022, with visitation starting at 12:00 noon, followed by service at 1:00 pm on September 8, 2018.